Cacao nibs are a great addition to any dessert and a perfect match to the Andean lucuma fruit. 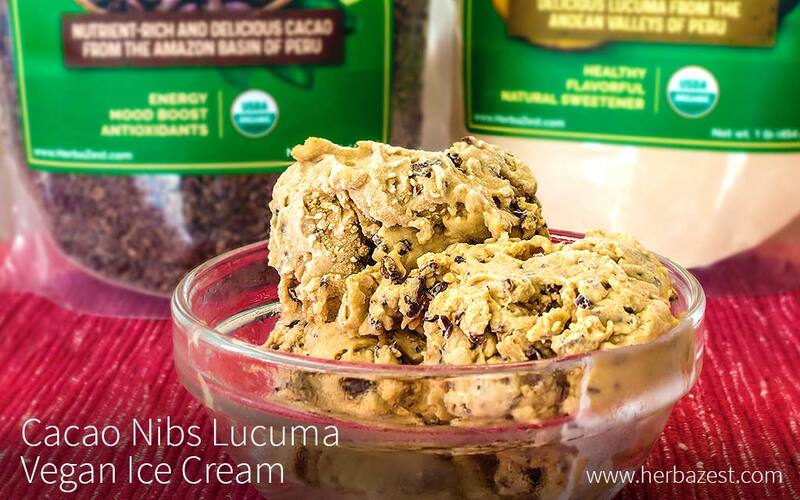 Lucuma's unique flavor and ripe bananas are a great combination that takes cacao nibs to gourmet level. Try this vegan, easy-to-make ice cream at home!